FAPU (German: „Fachmagazin für die Polyurethanindustrie") and FAPU „European Polyurethane Journal are published by KP Verlag. KP Verlag is a small independent publishing house with only one theme: POLYURETHANE. Meanwhile we offer under the logo FAPU our magazine in following languages: German (Fachmagazin für die Polyurethanindustrie), English (European Polyurethane Journal) and Russian (Полиуретановый Бюллетень as a newsletter). With more than 20 years of sales experience in the polyurethane industry, we are well grounded in knowledge and contacts to all important PU-related markets in Europe and the NAFTA countries. This differentiates us fundamentally from other publishing houses and publications, where polyurethane is just another material besides many other plastic types. Being ourselves affected in the past, to comb through multitudinous magazines, to find PU-related articles, the idea arose 9 years ago to publish the first German polyurethane magazine FAPU. Quality and up-to-dateness of information regarding polyurethanes is very important to us, as well as high diversity from all different PU-processing industries. This sometimes is very difficult due to the versatility of this material and therefore we do need support from the industry. 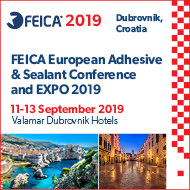 Thus we do invite our readers specifically, to send us interesting articles: press releases about companies, products and technologies related to polyurethane are highly welcomed anytime. KP Verlag is publishing the complete content of FAPU (in German) since issue 15 on our website www.fapu.de and offers the possibility of full-text search. Since issue 38 this service is also available in Russian and since issue 47 (March 2008) in English. You may enter this section, if you have a FAPUweb-Subscription or a FAPUsuper-Subscription (internet and print). Service for readers: authorisation for test subscription, subscription orders and up-grades (magazine, internet-access and combinations), event calendar, PU directory, job exchange and company presentations. Service for advertisement customers: order advertisements (print, online, combination), key word linking (internal and external links) for FAPUweb-articles and/or company presentations. Additional you will find several exclusive offers from our technical partner, especially for FAPU-customers: Layout- and print services, website-services etc. Have a look at www.fapu.de .